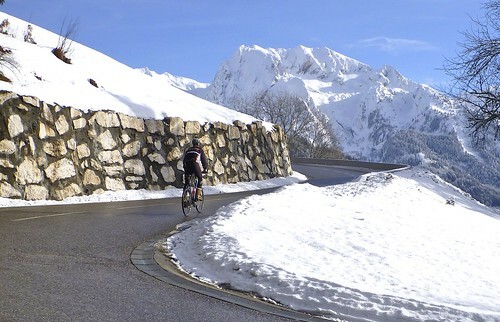 One of my very favourite winter alps climbs. Save this ride for a sunny day and the views are simply fantastic. 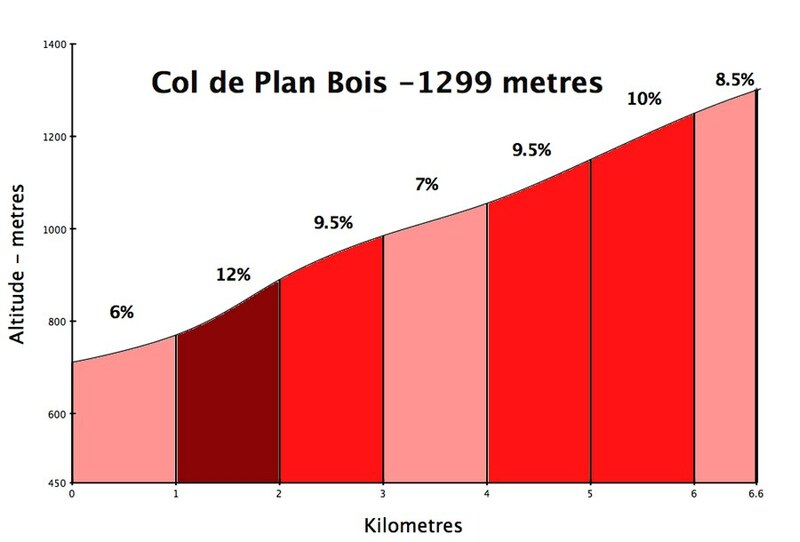 From Thônes, I first climbed the lovely, little-known, and very steep Col de Plan Bois. 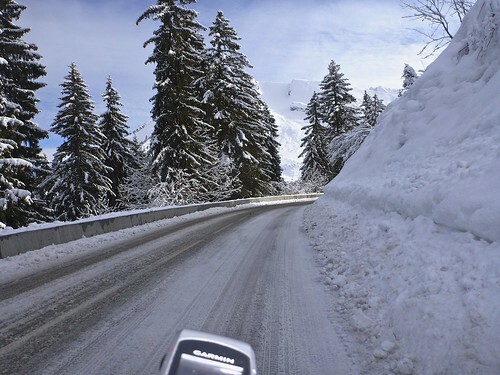 Warning, in winter this road is often not very well cleared and thus the steep stretches can be quite slippery. Great views of La Tournette, the mountain behind me (Lake Annecy is behind it). 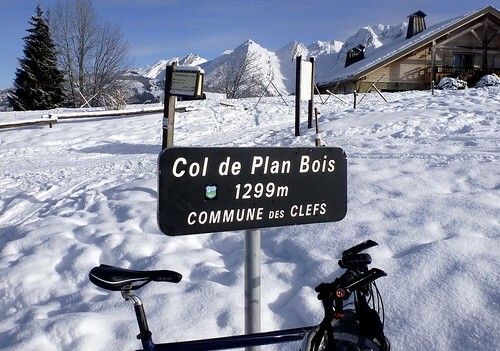 If hiking through snow is not your thing, as long as there has been no recent snow, the direct route up to Col de la Croix Fry – the way I descended (see map) – will be fine for a road bike. 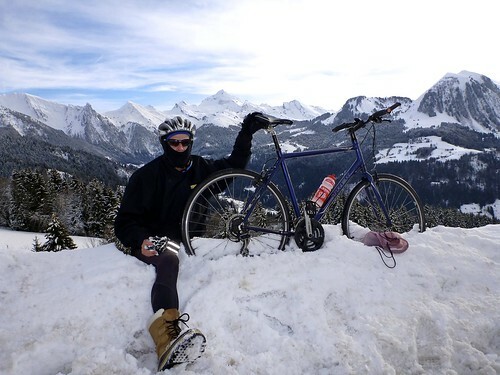 Last February, I used a road bike for a similar route but excluded Plan Bois and added Col des Aravis. Details here. 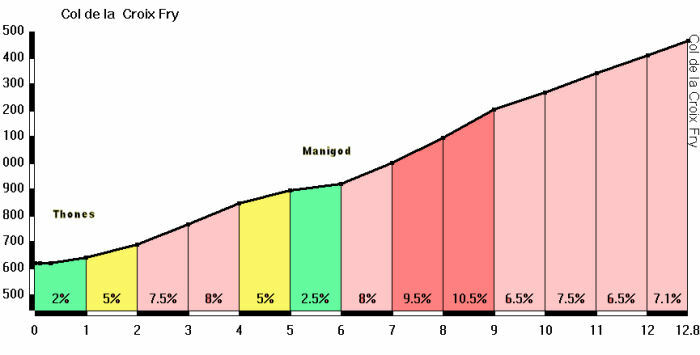 The rest of the steep descent is in shade and very slippery. I gingerly descended with a foot often on the ground. This is not for the faint of heart. 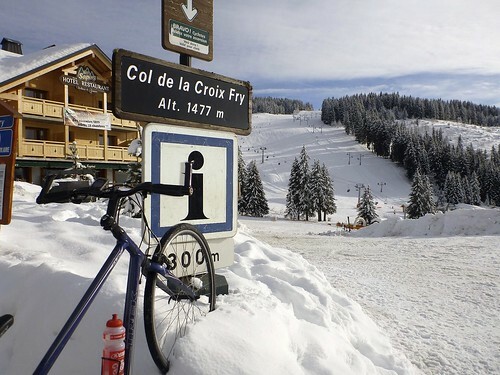 At Col de la Croix Fry, there was lots of activity at the Manigod ski station. 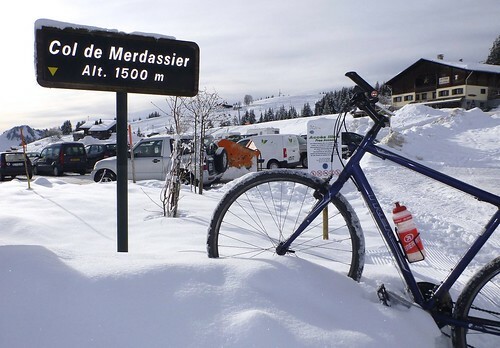 I continued on the not difficult little extension to Col de Merdassier along snowy but not icy roads. As usual, this annual winter pilgrimage left me smiling. Glad to see you back on the bike. Did this climb in August in the pouring rain- the descent was interesting! Beautiful pictures. Was looking at the webcams last week- we’ve summered in the area the last 4 years and it’s beautiful. Would love to be there now-on skis! 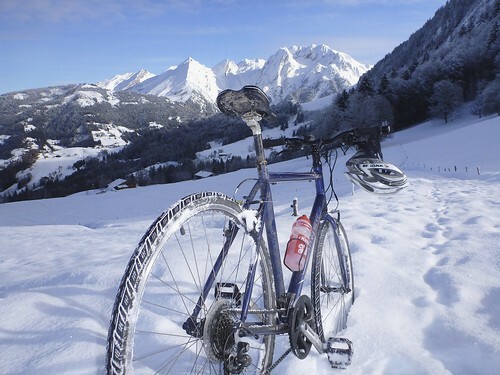 Pingback: Cycling loop in the Aravis Alps. Road biking.